Vermicomposting is one of the best sustainable solutions for organic waste management, and demand for reliable information on how to vermicompost successfully and profitably is on the rise. But while many books offer information on small-scale vermicomposting, there has not been a comprehensive how-to guide for worm farming on a commercial scale - until now. In The Worm Farmer's Handbook, vermicomposting expert Rhonda Sherman shares all she has learned over twenty-five years working with commercial worm farmers, schools, non-profit organizations, and researchers. She profiles successful worm growers across the United States and from around the world, describing their proven methods and guiding readers to create a system that will best suit their needs. 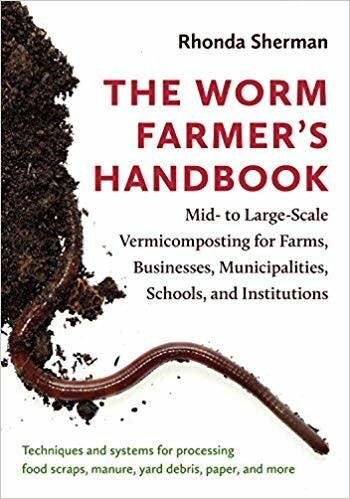 With chapters on vermicomposting basics, monitoring active worm beds, harvest and post-harvest practices, and much more, The Worm Farmer's Handbook is an essential resource for mid- to large-scale operations, digging deep to demystify the science and logistics of this fascinating process.